You all know the phrase. "Everything's bigger in Texas." And that includes yoga! When it comes to Austin, Texas, one of the fastest growing cities in the country, they're all about their yoga. In a city known for its live music scene and the South by Southwest festival, yoga and music share a special relationship. 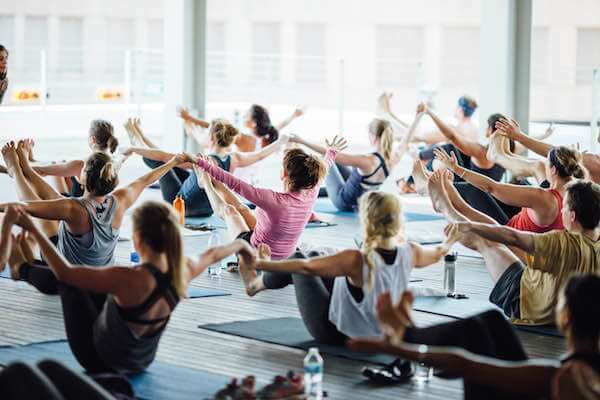 To figure out how the two connect, we contacted some yoga studios in Austin to find out how they use music in their classes. What kind of yoga do you teach at Dharma Yoga? Dharma Yoga is an awareness-based mindfulness and relaxation practice, founded by Keith Kachtick in 2003, exploring traditional Hatha yoga through the lens of Buddhism. Classes range from vigorous Vinyasa Flow, to relaxing, gentle Hatha nightcaps. All of our classes are fueled by an intention, be it cultivating santosha or the Zen notion of Beginner's Mind. No mirrors. No artificial heat. Every aspect of the Dharma Yoga practice, from sitting in meditation to exploring Handstand, becomes an opportunity to be present, to transcend the ego, and to blossom to our full potential. Austin is hailed as the live music capital of the world. Is there an intersection between the music and yoga communities? 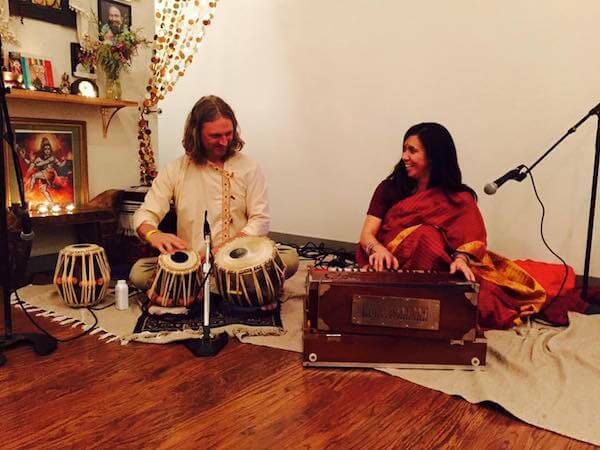 Dharma Yoga loves using music to accentuate a theme and will invite local musicians to accompany our classes. It might be electric cello, Spanish guitar, Tibetan singing bowls, harp, mandolin, flute, or tabla and harmonium. What kind of yoga do we teach at Modo Yoga Austin? Modo Yoga Austin is a part of a larger yoga community that includes more than 70 studios worldwide. We mainly teach the Modo series, which is a Hatha-based practice done in a room heated to about 100 degrees Fahrenheit. It's a therapeutic practice meant for beginners and experienced yogis alike. We also teach Modo Flow, which takes the same mindful approach used to create the Modo series and applied to a more Vinyasa-based practice. At Modo Yoga Austin, as at all Modo Yoga studios, we are guided by seven pillars: be healthy, be accessible, be community, be peace, reach out, live to learn, and be green. What this means specifically is that we are interested in people developing good healthy habits in a yoga practice that they feel comfortable making their own. 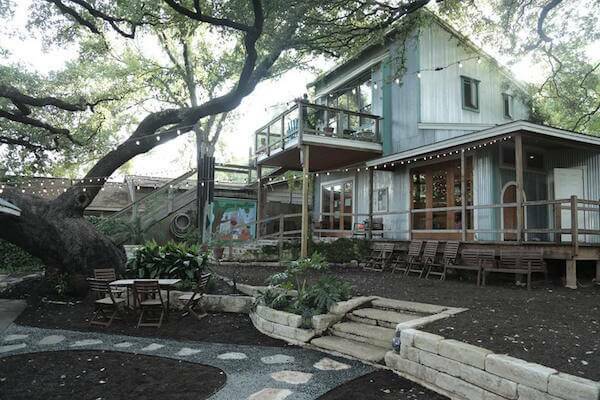 We love everything about Austin: music, art, weirdness, and tacos. We've had many live music classes showcasing local Austin talent. We are doing a free pop-up class for SXSW and will do free pop-up classes for Blues on the Green. So in a word, yes! What kind of yoga do you teach at Breath and Body Yoga? Our primary offering is Power Vinyasa yoga. This is a powerful practice in a heated room that links vitalizing breath with mindful movement to create a powerful flow. Our studio is very different in that we have a specific alignment system that we whole-heartedly believe in. Also, our classes have been deemed the most challenging in the whole city! We do have musicians that practice at our studio regularly, and our community is always looking forward to the festivals in the city, such as ACL and SXSW. I think in many ways the practice of music and the practice of yoga have a lot of similarities. What kind of yoga do you teach at Sanctuary Yoga? At Sanctuary we really try to cater to all different types of yogis and people. Therefore, we offer lots of different types: Hatha and meditation classes, Restorative yoga, and of course all different levels of Vinyasa. Sanctuary Yoga is the only non-profit yoga studio in Austin. Sanctuary was created in the back yard of the Amala Foundation, a small non profit here in Austin and all proceeds from the classes support the Amala Foundation's youth programs. Every time our students step onto their mats they are directly supporting youth from all over the world and all walks of life. Music influences our community in many ways. First, we have several yoga teachers who are also musicians and many that often incorporate live music into their classes -- especially the late night Restorative classes! What kind of yoga do you teach at Bodhi Yoga? We are a studio that teaches Baptiste-style Vinyasa. We also offer Yin Yoga and non-heated Vinyasa classes that follow a Baptiste-style flow. Our studio is special due to our community of teachers and practitioners. We enjoy a fun, relaxed, challenging yoga lifestyle on and off the mat. We let all the teachers, which are members of our community, select their music that will be played in their class. What kind of yoga do you teach at Studio Mantra? 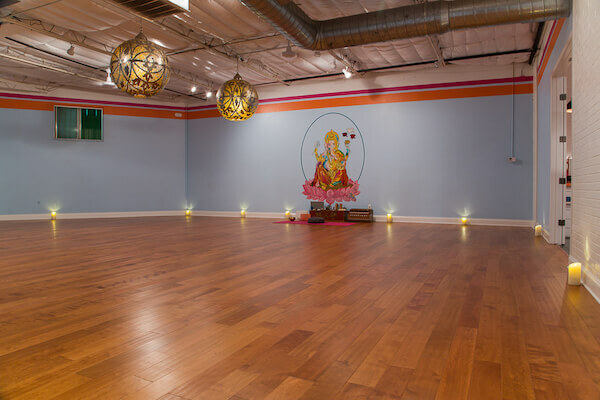 At Studio Mantra we offer a variety of yoga classes, Pilates, and barre classes. We have all levels; for everyone from the beginner to the most seasoned practitioner. Some of our yoga classes include Vinyasa Flow, Slow Flow & Power Vinyasa, Mantra Sculpt (Vinyasa with light weights), Mantra Fit (a boot camp style class), Mantra Calm (Restorative), Yoga Align, Kundalini and Mantra Mellow (Yin). Unlike many studios, Studio Mantra offers so much more than just yoga classes. Mantra is a boutique studio that provides integrative mind/body healing through group and private classes, therapeutic massage and acupuncture -- all in one space! Given all of this, what we find the most unique feature of our studio is the real sense of community. Although open less than a year, when you walk in the front door there is a sense of calm and beauty, and we’ve been told, the feeling of home. Studio Mantra has created a community that is safe, warm, and inviting to all. Music is so important to Austin and, in turn, our students and customers. It informs everything we do in Austin. At Mantra, we embrace our instructors’ choice in music for each of their classes, giving them a freedom to include the full gamut of music that is out in the world. Often our instructors (many of whom are very in-tune with the Austin music scene) are credited for turning on students to new music. What kind of yoga do you teach at Energies Balanced? Lisa and I (Todd Johnson) are a husband and wife team who own and run Energies Balanced Yoga & Massage. Lisa Johnson is our head yoga teacher, and is a certified Iyengar teacher with over 10,000 hours of teaching experience. Our studio is special because we have dedicated teachers with a welcoming community of all ages, body types, and abilities/limitations. Austin is definitely the "Live Music Capital of the World." We have a performing yoga troupe (Energies Balanced Yoga Troupe) who does live performances for different festival/musical events. We have performed in bars, parks, and other music related events. What kind of yoga do you teach at Yoga Illumined? We have over 35 classes on our schedule every week! We offer Power Kundalini, Shakti Vinyasa Flow, Inspired Hatha, Meditation, Acro and Partner Yoga, Restorative with props, Ashtanga, Kirtan, and special events like yoga with live music. 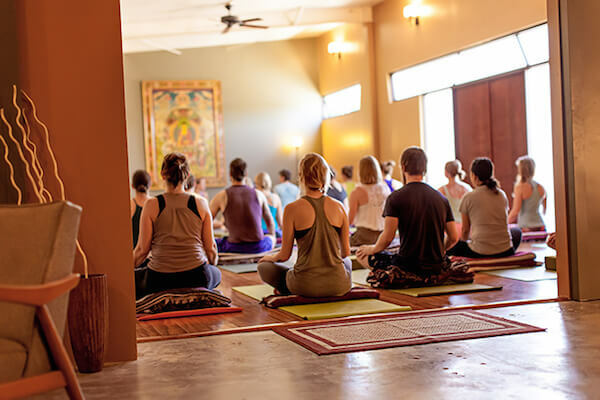 Voted Austin's most spiritual studio, what makes our community unique is our dedication to the ancient teachings of yoga. At Yoga Illumined, you never leave with just a yoga workout, you also leave with a glow from the inside out that comes from the practices of meditation, inner peace, and immersion in the teachings of yoga philosophy in the Yoga Sutras. Yes! 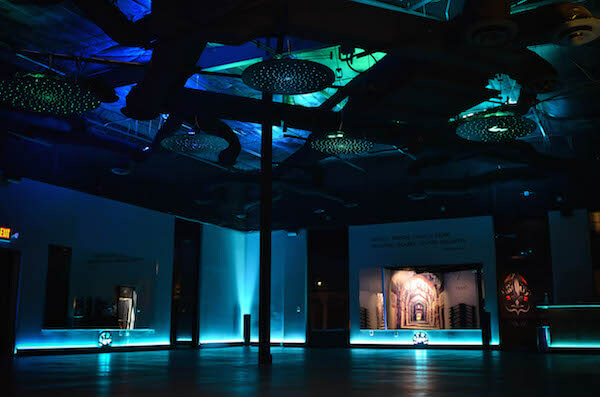 We offer live music events, called Kirtan, every Friday night in our studio space, as well as monthly live music and Restorative yoga, hip hop soul flow workshops, and Glow yoga. We love music and we love yoga! So it's only natural to combine them. What kind of yoga do you teach at Sukha Yoga? We teach a full spectrum of yoga classes at Sukha. 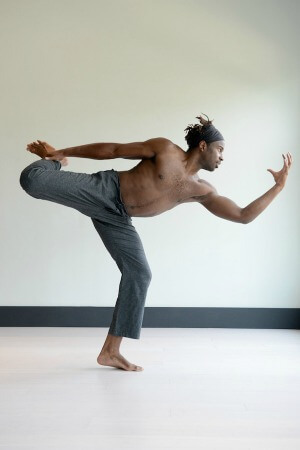 On any given day you can find a class that will support your vibe and needs... everything from all-levels friendly Slow Flow Vinyasa to the quiet and healing practice of Yin to the dynamic and expressive Sukha Flow. Sukha has so many beautiful translations, all of which embody the heart of our offerings. Sukha means bliss, sweetness, home, nectar, ease, and good space (we had a good laugh when one of our students also told us in Russian it means b*tch). We are mama-papa owned and totally local, born out of a dream and created through the deep roots of community. Our teachers were hand picked for their passion, creativity, and dedication to their craft. Most definitely. Music and yoga are at the the least complementary, and dynamic at best. In Austin, many talented musicians partner with yoga teachers/studios to offer their musical talents to classes and workshops. It does't hurt to have one of the world's greatest collections of musicians outside your studio doors! Both the yoga and music communities will thrive as they continue to collaborate and grow together. What kind of yoga do you teach at Black Swan Yoga? We teach warmed Vinyasa Flow classes that are high energy and personable. Our studio is donation-based primarily, meaning that anybody can drop-in and donate however much they'd like to take the class. We believe yoga is for everyone, so we try to make it as accessible as possible by reducing the boundaries of cost, eliminating the intimidation much of the general public has about yoga, and creating a groovy and fun studio space for students to feel at ease. We host live music classes as the official yoga studio for SXSW and other music festivals. Our goal is to get the world to do yoga! What kind of yoga do you teach at Wanderlust Yoga? We currently teach Power Vinyasa classes at Wanderlust. However, our classes range from basic classes, to slower Vinyasa, heated Vinyasa, intermediate Vinyasa, Yin yoga to Yostrong (yoga with weights). 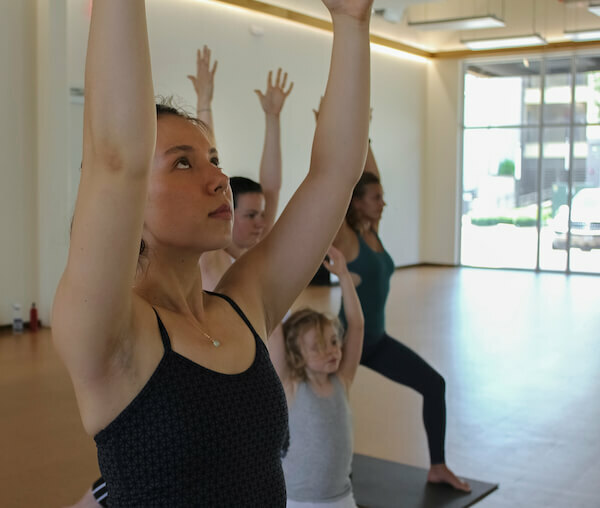 We infuse classes with live musicians, provide outdoor rooftop yoga classes next door at our neighbor, Brazos Hall, and bring people together not just for yoga but for the community events as well. We host art shows and create workshops, and are always getting involved with the community to give back through fundraiser classes and more. Absolutely, especially at Wanderlust. Music, when prepared in a thoughtful manner to yoga sequences, amplifies and creates a beautiful backdrop to the yoga practice. We are combining our two loves -- yoga and music -- in the greatest city in the world. What's your favorite yoga studio in Austin? How do you use music in your yoga classes? Share with us in the comments below!